ASUN students graduating with a Technical Certificate or higher will be prepared for entry-level positions in welding manufacturing, construction, and custom fabrication. Skill sets of graduates include operation of SMAW, GMAW, FCAW, GTAW welding processes; Oxy fuel and Plasma Arc Cutting processes; blueprint reading and fabrication skills. Students may also choose to learn automated welding processes such as CNC plasma cutting and robotic welding operation. 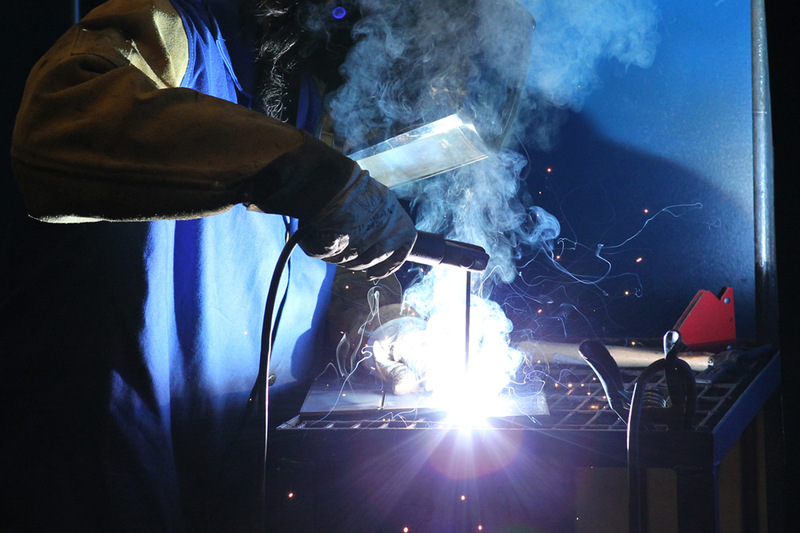 Salary ranges are broad in the field of welding and are based on the range of knowledge and skill as well as the type of industry. Past students have gained employment through companies such as Hytrol Conveyor Company, American Rail Car, Apex Tool Group, Custom Metals, RGB, Cameron Construction, Jonesboro Tool and Die and Phelps Industrial. Have you found your starting point? Apply to the Welding program today.